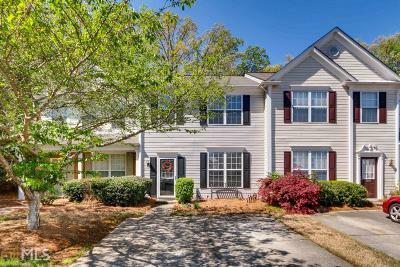 Here&apos;s your opportunity to own a move-in ready townhome mere minutes from Kennesaw Mountain plus all the shopping, dining, and entertainment you could ever ask for! This well-kept townhome is nestled on a quiet cul-de-sac in a neatly-manicured neighborhood so you can forget the stresses of the world as soon as you arrive home. The open main level is perfect for entertaining or retreat to the master suite with dual vanities, a huge walk-in closet and more. The privacy-fenced backyard is perfect for pets and enjoying the beautiful spring weather. Welcome home! Directions: I-75n To Exit 269, Turn Left Onto Ernest W Barrett. Cross Cobb Pkwy. Right Onto Old Hwy 441 By The Racetrac. Left Onto Stanley Road. Right Into Neighborhood On Cedar Lake Drive. Left On Stanwood. Right Onto Stancrest. Home Will Be On The Cul-De-Sac.